There is no doubt that Ritchie McDonald is a carp fishing legend. 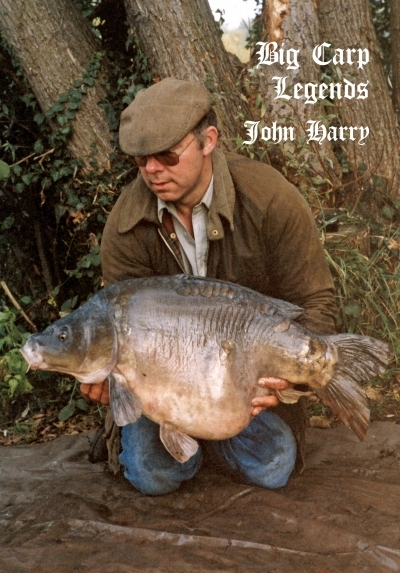 He dominated the headlines in the eighties when he caught the Yateley North Lake Forty (later to be christened Bazil) at a weight two pounds above the official British record held by Richard Walker. By refusing to claim the record, as he believed Chris Yates was in fact the true record holder, he stamped his mark on the record fish committee and proved to everyone that he had great character and consequently earned the respect of the carp fishing world. Already in the headlines, his next assault was in France at the recently pioneered Lake Cassien. We all read about his exploits weekly in the Angling Times; Ritchie was on a roll, but in actual fact this roll had began ten years before the big Yateley fish. In the seventies, Ritchie was the first angler to catch a twenty pounder from Redmire in winter and the first angler ever to catch thirty twenties in a season. 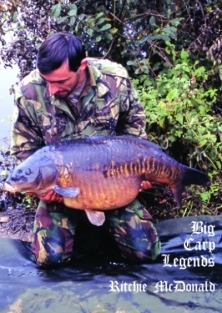 By the early eighties his tally of 35lb-plus carp was light years ahead of his contemporaries, and he took his good friend Rod Hutchinson under his wing in an attempt to land Rod’s first big carp. Ritchie earned the reputation as the big carp hunter of the day, and not without reason. Longfield fell to his approach, and a season on Ashlea Pool saw him soon become the lake record holder with Peter Mohan pushing this publicity-shy phenomenon to tell the world of his captures. Once in the Colne Valley, Ritchie once again ruled the roost, smashing the exclusive Conservative Club venue, catching Sally from Savay and conquering Harefield. But it was Yateley again where Ritchie was back in the headlines, catching the impossible by landing the Pad Lake Forty (Jumbo) and Heather from the Car Park in the same week. This was not the end of Ritchie’s story, as he was also to capture ‘The Royal’ from his local Pen Pond before he hung up his rods and was lost to carp fishing forever. I consider myself lucky to be one of Ritchie’s close friends and to have fished alongside him on several well-known waters in the UK. Ritchie is without a doubt a ‘one off’, a great angler of his time, who was way ahead of his time in understanding the carp and how their minds worked. Although he no longer fishes for carp, Ritchie enjoyed carp fishing during the great years of the seventies and eighties, and he would be the first to agree with me that he had the best of it, and that the good old days could never be repeated. Readers of this volume should please bear in mind that the content of each chapter is a taped interview with some chapters containing extracts from Ritchie’s own diary, also recorded on a Dictaphone. The text has not been proofread to death or ghostwritten. We tried to encapsulate the soul of the angler. It should be read as though Ritchie himself were sitting in the bivvy with you one long winter’s night on the lake telling you, in his own unique way, of his adventures.